Irish snowman ornament features lots of shamrocks along with a pot of gold and a shovel. 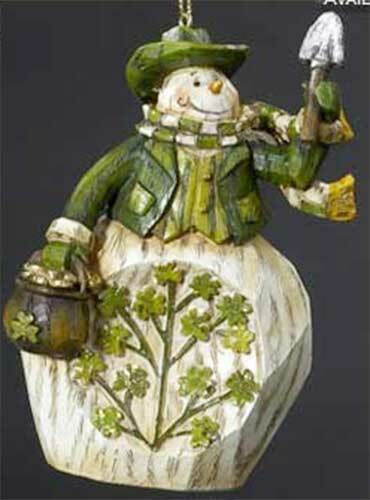 This Irish ornament features a snowman with a pot of gold in one hand and a shovel in the other; he is enhanced with shamrocks galore. The Irish snowman ornament is a dimensional resin design that measures 4" tall; he is ready to hang on your Christmas tree with the included gold cord.